Asscher cut engagement rings give an exciting but subtle alternative to other square diamond shapes. Square Emerald-cut diamonds offer a distinctive, bold dazzling diamond with beautifully faceted corners. Our delightful range are set into four claw engagement ring settings, offered in a choice of precious metals including 950 Platinum, 18ct White Gold, 18ct Yellow Gold, 18ct Rose Gold and Fairtrade Gold. All items arrive beautifully presented and backed by a lifetime warranty for your reassurance. An Asscher cut diamond engagement ring, with a four claw Lucida style setting, and court profile band. 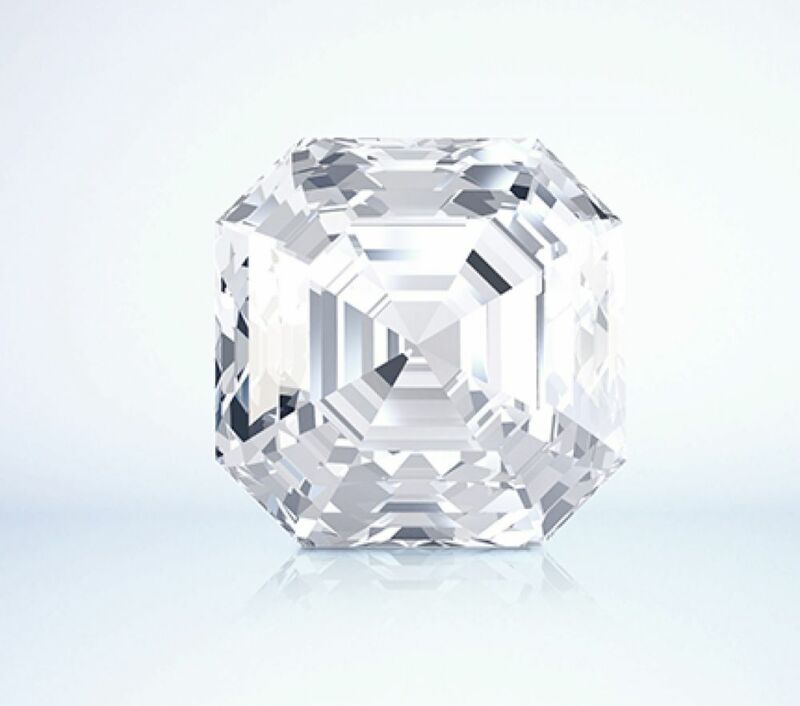 Asscher cut diamond. Choice of carat weights available. Square cut faceting, with cut corners. Four round claws within an X claw, Lucida styled setting. Court profile band. Wood boxed. Available in most metal choices. 3-4 weeks for delivery. Perfect Asscher cut diamond solitaire engagement ring with 4 square claw setting to compliment the cut corners of the square emerald cut diamond. We have created 'Sonnet' to provide a perfect design to show the subtle beauty of the square emerald cut, or Asscher cut diamond. The setting is open, and very simple, with 4 square claws that mirror the squared cut corners of the diamond. Light cascades through the revealing setting above tapering shoulders with a distinctive knife-edge profile which flows into the court profile band. Please allow around 3-4 weeks for this design. Wood boxed and gift packaged. The Asscher solitaire engagement ring is a rare and unusual addition to our engagement ring collection. This fiery diamond shape is a close cousin of the Emerald Cut diamond, square in shape, with similar step cut faceting combined with breathtaking beauty. The Asscher cut, like the Emerald cut gives fire and subtle flashes of light with the unusual aspect of polished corners. Most designs are four claw solitaire ring styles complementing the octagonal outline of the Asscher solitaire diamond. Choose from many precious metal and diamond combinations for a unique engagement ring that will be cherished for a lifetime. All commissions arrive perfectly presented in luxurious packaging, backed by 60 days returns, worldwide shipping and a lifetime warranty.